This abstract Holy Family is carved from cedar wood. The artisan, Señor Zenon, has been carving for several decades. He lives in very humble conditions in a little town called Teocaltiche in Jalisco, Mexico. His main work is carving traditional Mexican wood toys. His wife and son help him with his designs in a family team effort. Occasionally Señor Zenon carves Nativities. 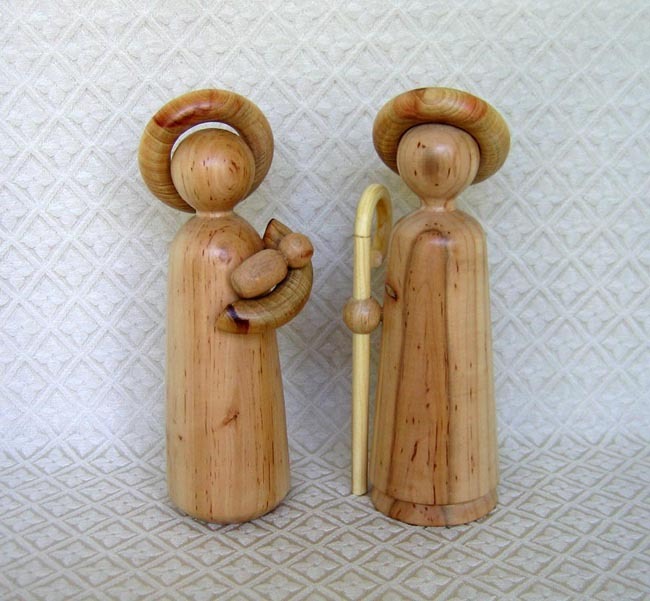 The unique figures are carved by turning each piece of wood on a homemade lathe. The finished figures are unstained, but they do have a protective varnish. The figures measure 8 inches tall.